Now what do you do? What should you do? What do you want to do? 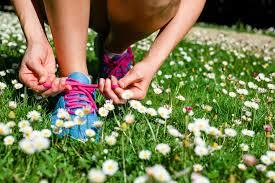 Spring time is a time for new beginnings, so why not take the time to start making some healty changes. No better time than to start exercising now. Go for a walk and make your way to a run and then try run your first 5km. You’ve been keeping fit but need a change? Why not join a running club or a gym to meet up with like minded people who will help motivate you to keep coming back. Add one vegetable and/or fruit serving to every meal. Find creative ways to do it such as adding bananas to breakfast cereals or tomatoes to sandwhiches or making sweet potato chips instead of potato chips. Staying healthy means eating healthy and keeping fit. If you walk, run or jump its all ways of keeping fit and healthy, just keep doing it. Make it a habbit!! !